ART ILLUMINATES MANKIND is located in Kolkata West Bengal . ART ILLUMINATES MANKIND is registered as a Society at KOLKATA of state West Bengal with Ngo unique registration ID 'WB/2010/0027066' . 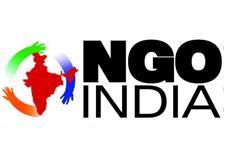 The NGO registration is done by Registrar of Societies with registration number S/L/1674 on the date of 02-09-2003, Its parent ORganaisation is ART ILLUMINATES MANKIND. The Chairman of ART ILLUMINATES MANKIND is SUBHRASHREE SANYAL and Chief functionary officer is SONALI CHAKRABORTY. Promoters are SUBHRA DAS, SANTANU SAHA, ,. �AIM� (Art illuminates Mankind) was established in the year 2003 with a group of people committed to social development through art and craft. At present, it has members from 60 communities across the country based on group artisans from all over India. The organization �aim� was registered in September, 2003 under West Bengal Registration Act XXVI of 1961 and was formed for the purpose of protection and preservation of folk and tribal arts for the welfare of the society. It aims to serve mankind and to illuminate their inner-selves through the light of creation and give them a profound joy with a sacred ecstasy. �AIM� is also devoted to Marketing, Training, Workshop, Seminar, Design Development, Consultancies related to activities that improve the health and well being of the arisans living in both tribal and rural areas of the country. Major activities like Karigar Haat, Kolkata Haat, Fashion Show BENTEX, Design Development Programmes etc .